2019 is almost here and real estate investors are gearing up to find the best cities for Airbnb investment. But, they might be a bit hesitant thanks to all the strict regulations across the US housing market. Luckily, using Airbnb rental data from Mashvisor’s investment property calculator and reviewing short-term rental regulations, we found the 8 best cities for Airbnb investment 2019. And just in time for you to buy investment property and start making money in the new year! Not only does it seem Airbnb investment property can operate legally in these cities, but the cash on cash return for such properties is the highest in the US. If you thought owning a vacation home rental in Michigan was a good idea, your hunch was right. That is if you invest in Airbnb Lansing real estate. For one, the Greater Lansing region welcomes over 4.8 million tourists a year. These visitors boost the economy annually by bringing in over $602 million. In terms of the general Lansing housing market, it is currently a buyer’s market which means when buying an investment property, you have significant sway. So seeing as how the Lansing real estate market is already the 7th most affordable market in Mashvisor’s database, you’ll find affordable properties and likely get to negotiate the price down some. The expected real estate appreciation for the next year is 6.3%, according to Zillow. Not only will you make positive cash flow in this market, but property value will increase nicely. Along with these facts, the Lansing real estate market has the highest cash on cash return for Airbnb rental properties on this list. No wonder it’s #1 for the best cities for Airbnb investment 2019. Check it out! Lansing made this list for the best cities to buy Michigan vacation home rentals. In terms of the Airbnb regulations for Lansing, we look to the greater State of Michigan. Michigan legislators are pushing to pass bills preventing any city from banning short-term rentals. While these bills have not officially been passed, it’s a positive step towards legalizing Airbnb in Michigan cities. And while there is some opposition to the bills, as of date, it seems operating non-owner occupied Airbnb investments in the Lansing real estate market is legal. Start searching for Airbnb rental property. Tourism in the greater Tuscaloosa County saw a 9.7% growth in 2017. Visitors spent around $600 million, boosting the local economies within this region. The Tuscaloosa real estate market is actually home to the 8th largest sports stadium in the world, Bryant-Denny Stadium as well as the University of Alabama. Typically, college towns make great places for Airbnb rentals thanks to occasions like graduations and sports events. In fact, in 2017, the Bryant-Denny Stadium had the highest attendance for sports destinations in the state, with visitors coming from all over Alabama and the US to watch the games. It’s not surprising that Tuscaloosa vacation rental owners enjoy a high cash on cash return. Being one of the best cities for Airbnb investment 2019, the health of the Tuscaloosa housing market is also something to boast about. Real estate property prices appreciated a whopping 13.2% over the last year. By this time next year, it’s predicted a Tuscaloosa investment property’s price will rise another 15.7%! Even so, the median property price is still below the national median and the market is currently a buyer’s market. Because Tuscaloosa allows short-term rentals, it easily makes the list of the best places to buy Airbnb property. However, there is a catch. There are only a few designated areas where an Airbnb investor can legally operate a short-term rental. You can learn more about these zones here. The positive thing is that there are talks of expanding these zones and it’s likely that later in 2019, you may have more options for Airbnb locations in the Tuscaloosa real estate market. Dubuque may not come to mind when you think of the best Airbnb cities. But actually, this city has a booming tourism industry and receives over a million visitors annually. There are plenty of tourist attractions from the National Mississippi River Museum and Aquarium to the Grand Harbor Resort and Waterpark. It’s another college town on our list, with 5 institutions for higher learning. All of this makes it one of the most profitable Airbnb locations. The Dubuque real estate market is currently a buyer’s market, the third one on our list for the best cities for Airbnb investment 2019. (Use this to your advantage as the general US housing market will be a seller’s market in 2019.) The median property price from Mashvisor’s data is far below the national price as well. When it comes to short-term rental regulations, Airbnb rentals are regulated in this city. There is a taxation system already in place as of 2017 in the State of Iowa as a whole. However, be sure to check local zoning ordinances to ensure you can use a non-owner occupied property as an Airbnb rental as there are regulations in place. Another possibly shocking city on the list for the best cities for Airbnb investment 2019. 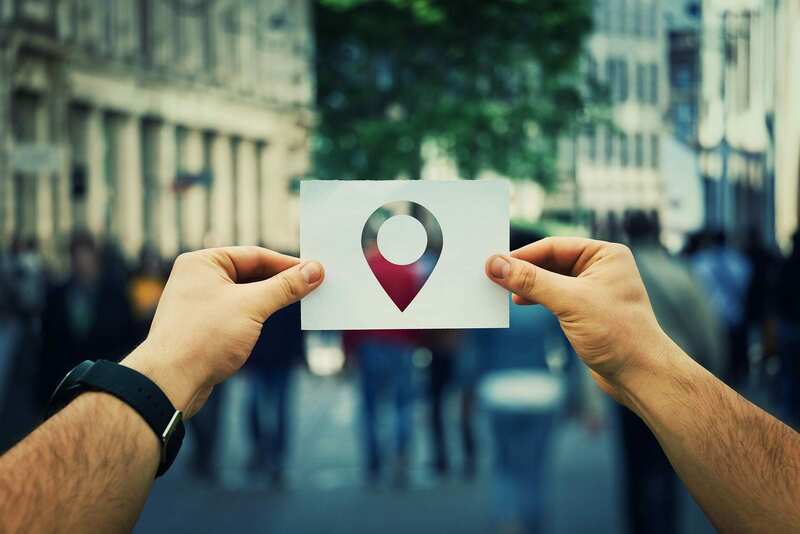 However, if you’ve taken a look at the Airbnb trends for 2019, smaller vacation spots are gaining popularity among travelers, especially in Midwestern cities. In fact, from 2015 to 2016, there was a 4% increase in hotel demand from tourists in this city. While the number of tourists may be modest here, vacation rental property owners can make good returns with the high occupancy rates, especially during the months of June through October. Looking at the Goshen real estate market, it is a seller’s market where the property price appreciation reached near 14% last year. Even as a seller’s market, it still makes it on our list for the best cities for Airbnb investment. That’s because with the affordable median property price far below the national and a much lower expected rise in prices of 3.2% next year, the Goshen housing market is still a place for real estate investors to find a good deal and get a great ROI. The city’s Airbnb regulations allow for short-term rentals for investment property, with special permissions it seems. Still, even if you may have to jump through a few hoops, it could be worth it for the high cash on cash return you’ll get. Being one of the 7 cities on the Hampton Roads, a popular tourist destination, the Portsmouth real estate market is one of the best cities for Airbnb investment. Sitting at the center of the Hampton Roads, which attracts more and more tourists every year, Portsmouth has something different to offer. The other larger metropolitan cities are losing out to the competition of this small town atmosphere, a growing Airbnb trend for 2019. The Portsmouth housing market is a buyer’s market. Even though the median property price is the second highest in our top 5, these conditions mean you can either find good deals or negotiate prices down. 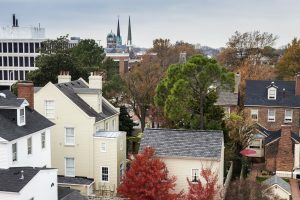 The Virginia real estate market has put laws in place that allow individual cities to place regulations on short-term rentals. This includes banning non-owner occupied Airbnb rentals. However, to date, Portsmouth officials have not placed this general ban it seems. Still, be sure to check zoning ordinances. You should also know there are short-term rental taxes in place. Click here to find the most profitable Airbnb property in the city of your choice. While those are the 5 best cities for Airbnb investment, real estate investors may not be interested in them as they aren’t what some may call the “most popular Airbnb destinations,” although they are the most profitable. If you’d rather look into a city whose name is more popular among tourists, here are 3 with high cash on cash return. Something to keep in mind with the last 3 cities on our list for the best cities for Airbnb investment is because they are more popular, the crackdown on Airbnb rentals is more tangible. In some of these cities, like Columbus, there are current talks for stricter Airbnb regulations. As none are in place now, it would be smart to keep a close watch on them in 2019. Airbnb real estate investing is becoming a tricky game. However, if you invest in one of the most profitable Airbnb locations where it’s still legal, you can turn a profit and enjoy everything the short-term rental market has to offer. If you found a city where Airbnb is legal, be sure to analyze it using data from Mashvisor. Not only will you be able to find the best places to invest in real estate, but our tools will lead you to the best Airbnb investment property too! Try it out with a 14-day free trial. Note: This list is based on a thorough market research. Be sure to contact local officials and check local zoning ordinances before buying a house to rent out on Airbnb. 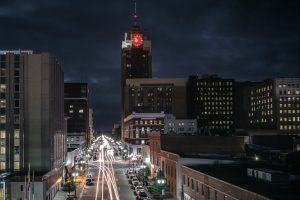 San Antonio Houses for Sale: Good Real Estate Investment in 2019? What’s the Deal with Airbnb Joshua Tree? New Year New Investment: What Are the Best Real Estate Markets to Invest in 2018? Where Should You Buy Real Estate Investment Properties in Anaheim?